Casino Grand Bay has been home to the elite, the pinnacle of gaming, the port of call for the elite since 2001, and has earned legendary status in the industry. Known as the flagship of the Grand Privé Group of Online Casinos, it is renowned as the most exclusive destination in online entertainment, and after all this time in the industry, you KNOW we are here to stay. Casino Grand Bay is where winners choose to play, and being backed by Saucify that is well known for their creative edge and brilliant designing that is one step ahead of the times, makes this the ultimate cruise to riches. All graphics are done in spectacular high definition with detailed and enjoyable themes. Casino Grand Bay offers players a diverse gaming experience on Mac, PC as well as via their Mobile Casino. With choices between progressive jackpots, video slots, classic slots, video poker, blackjack, roulette, keno and a myriad other table games, even the most discerning player will be content to stay & play. Casino Grand Bay also boasts with the world’s 1st i3D Games. 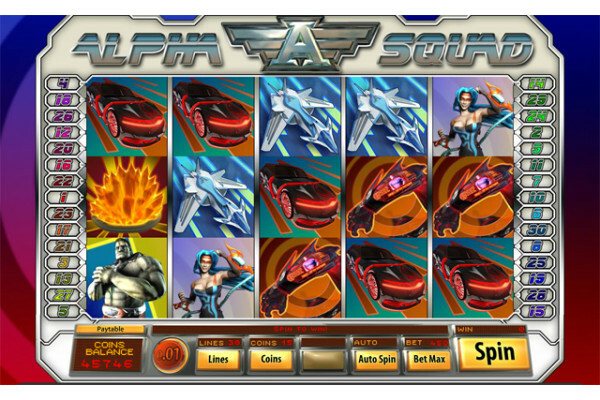 These video slots offers players an exciting experience in another dimension. The special attention Players receive at Casino Grand Bay does not end with the generous welcome bonus. This casino offers all Players daily match bonuses, often coupled with free spins as a staple, and they can also look forward to massive savings via innovative Buy Bulk and Save Offers, Casino Coupons and the jolly marvellous Wild Joker promotions. Casino Grand Bay is host to the most talked about icon in the online gaming industry: Wheel of Fortune. Strictly a luxury that only those with a registered account can enjoy, Wheel of Fortune offers guaranteed wins. When you accept your 100% match bonus offer when you sign up at Casino Grand Bay, you are not only getting a fantastic gaming experience, you’re also buying into a rare and exciting cruise to riches on the gaming vessel that arrives at a new and exotic destination every month. The cruise director is Coco, and she never disappoints and offers unique monthly promotions. Membership to the Loyal Flush Rewards Programme is immediate once a Player makes a first deposit. The rewards are instant: Players get a welcome bonus from the 1st tier (Jack) right up the coveted Black Diamond Tier. Other benefits include generous milestone bonuses, birthday bonuses as well as anniversary bonuses. Designed to give players more for their money. Like everything else at Casino Grand Bay. Choice is the definitive modern luxury and with more than 40+ unique HD Games, Casino Grand Bay Mobile is proving to be leaders of the pack. They’re geared at convenience (players sign on with their existing logins) as well as quality. On the technological side their Mobile Casino is 100% compatible with the newest mobile apparatus in the market such as iPhones, iOS6, Androids, Windows Phone, touch screen phones, Samsung, Nokia, Sony Ericsson and many more. Even if a Player does not have the technology employed by a smart phone or tablet, the mobile casino can be accessed on a regular cell phone, as long as the mobile has internet and WAP access via a data plan. Saucify have proven that they design and develop in step with android technology developments, ensuring compatibility with evolving operating systems used, speed escalation, enhanced graphics and sound quality. Casino Grand Bay is fully licensed to operate under the authority of Curacao and is 100% safe and secure with a 97% payout percentage. Players are invited to step on board this cruise ship for the ultimate gaming experience. With 24 hour, seven days a week, 365 days a year Customer Support in your mother tongue: English; French; German; Italian via Live Chat, Email Support, Fax, or on any of their toll free numbers, you know you’re part of the crème de la crème.